This is an in-depth description of the breeding system in Dragon City. It is current as of February 21, 2014 and the principles described here are how the Breeding Calculator and How to Breed pages function. The Elemental dragons are those which have only one element and can be purchased for Gold in the Build Menu. Legend is the only single element that isn’t represented as a Elemental in this manner. The others; Terra, Flame, Sea, Nature, Electric, Ice, Metal, Dark, Light, War, and Pure are all available for purchase using Gold. Pure and Legend elements do not have opposites. While you can breed Elementals, in most cases they will be purchased from the Build Menu for Gold. Light, War, and Pure dragons may be easier to obtain via other methods though, given how expensive they are, as well as how expensive their habitats are. The price of the habitat matters a lot in regards to Elemental dragons, because they can only be housed in habitats of their element. It is important to know how to breed Elemental dragons though, so as to understand why they show up sometimes, but not others. This can help you plan your breeding of other dragons to minimize the number of Elementals you get. This is especially important and confusing when breeding the new Light and War dragons, which seem to return a lot of Archangels and War dragons! If their corresponding element is present in both parents then the Elemental is a possible result. So for instance, Flaming Rock + Volcano could return Flame, Terra, Flaming Rock, or Volcano. Flame and Terra being Elementals. This is by far the most common way that Elementals are bred. If a combination of elements from the parents results in no possible dragons, an Elemental can be returned. It will be an Elemental corresponding to the element used in that specific combination. Currently when breeding the new Light and War dragons some people are still getting a lot of War and Archangels even when there is a valid hybrid dragon that can be returned. It’s not yet clear whether this is a bug or as intended … but it’s certainly frustrating for a lot of people. The breeding system in regards to Elementals is actually more complicated than it is for Hybrids, so this should be a rather easy section. To breed Hybrid dragons, simply ensure that the elements that comprise the Hybrid dragon are present in the parents, and that at least one of the elements can come from each parent. There’s not much more to it than that! Other than the exception for Rare Hybrids that is … We will go over that in the next section though. For now, just know that you can always use Elementals (or any other dragon) to breed Hybrids, but can’t use Elementals to breed Rare Hybrids except in special cases. Rare Hybrids are those dragons which have 2 elements which are opposed to each other. (See list above for which Elements are opposite each other.) For instance, Sea is opposite of War, and so the Elementals Sea and War cannot breed with each other directly. This means that Leviathan is a Rare Hybrid. This is the most common method used, and is pretty simple. You can breed opposite elements with each other as long as they are in Hybrids. For instance, Flaming Rock (Terra, Flame) can breed with Platinum (Metal, Ice) even though Terra and Metal are opposite elements, as are Flame and Ice. You could get the Rare Hybrids Soccer (Ice, Flame), Cool Fire (Flame, Ice), or Armadillo (Terra, Metal) from that combination. If you use Flaming Rock and Platinum when both are level 15 or higher, then you could also get Treasure (Metal, Terra) and Ice&Fire from that combo! This is because Treasure and Ice&Fire are both Rare Hybrids and Level Exclusives. The other method that can be used to breed Rare Hybrids is to use at least one Legend. This isn’t used very often, since players usually have their Rare Hybrids before they get Legends. As such, the Rare Hybrids generated this way tend to be “misses” that are unwanted, rather than the target dragon. The exception is Leviathan, which was introduced after many players already had Legends. So it was an attractive option to breed Leviathan using a Legend rather than two hybrids. The Legend element is a wildcard, and so can be any element. It can even be any two elements at the same time! (Perhaps even more, but there’s no valid case to test this.) The Legend element also seems to break all the rules. It bypassed the level requirement for Level Exclusives, and allows you to breed Rare Hybrids using Elementals. You can also use Legend + Hybrid to get Elementals. 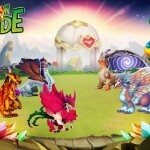 The Pure and Pure Elemental dragons were changed considerably by the Light and War update. The Pure Elementals were changed from having their own dedicated elements to having the Pure element + the other corresponding element. 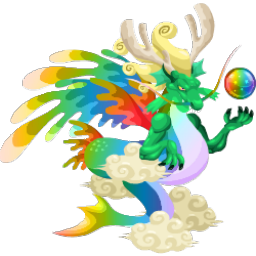 So for instance, the Pure Nature dragon used to have the Pure Nature element, but now has the Pure and Nature elements. This made them Pure Hybrids rather than Pure Elementals. The way to breed Pure dragons has remained much the same as before the update. They can be bred using combinations of Pure, Pure Hybrids, and Legends. However, the way most players will get their first Pure has changed dramatically since they come before Legends in the “family tree”. Pure and Pure Elementals used to be at the very top of the tree above Legends, but now have switched places with Legends at the top. So using Legends to get Pures will no longer be a very good option for most players, as you need Pures to get Legends! The most likely way to breed a Pure for new players is to buy a Pure from the build Menu. From there you can breed Pure Hybrids easily, and if you want, more Pures once you have 2 Pure and/or Pure Hybrids. Another route is to first buy one of the Pure Hybrids that show up in the Black Market from time to time and breed from there. If you have a Light or War dragon, you can even breed a Pure by pairing your Pure Elemental with any Light or War dragons. Then Pure will be a chance because of how the game treats element combinations that don’t yet have a dragon. (Like Pure + Light or Pure + Dark). So far there is only one Pure Hybrid for each pairing of Pure with another element except in the case of Ivory, which was recently added and is Terra + Pure to go along with Pure Terra’s Pure + Terra. This makes the old Pure Elementals much easier to breed if you already have a Pure dragon. It’s 100% sure to get the corresponding Pure Hybrid by breeding Pure + [corresponding Elemental] in every case except for using Terra. For instance, Pure + Flame is 100% Pure Flame. There are no other possible results at least until more Pure hybrids are released. Also of note, there are no Pure Hybrids yet that match Pure with Light, War, or Legend. The Legend dragons consist of all of those dragons that have the Legend element. They are Legendary, Wind, Crystal, Mirror, Droconos, Nirobi, and Robin Hood. All but Robin Hood can be bred. To breed a Legend dragon, you need to use parent dragons with the Pure element. So Pure dragons as well as any Pure Hybrids will work. Legend being a wildcard element also counts as Pure. When both parents have the Pure element, then a Legend is a possible result. The odds will always be low, and so you should expect to have to try many times to get a Legend. Since the Light and War update, I have tried over 60 times, with only 3 Legends (Crystal, Nirobi, Mirror) to show for it. Level Exclusives (old and new) have had a big change in the last update. Before then the only way to breed them was using a Legend + [dragon with corresponding Element(s)], contrary to the description in the Build Menu. Now the description in the Build Menu also works. So Level Exclusives are actually Level Exclusives again. To breed a Level Exclusive you need to pair two dragons which between them have all the elements of the target Level Exclusive. Legend counts as a wildcard remember, so can be used for any (or any two) of the elements. But at least one element needs to come from each parent. The other requirement is that both of the parents need to be greater than or equal to the required level. This is the level claimed in the Build Menu. On the Facebook app this is a white number in a black circle. On Android it’s the number on the red flag. If you do use a Legend for one of the parents, it bypasses the level requirement though! Still, it’s usually better to not use a Legend to breed Level Exclusives, since it makes for very low odds given all the possible dragons when Legends are involved. Do Levels Affect Breeding Odds? In the past levels were an important factor in the breeding system. They appear to no longer be factors in the odds for breeding dragons though. The importance levels still have is relegated to requiring level 4 for dragons to be used for breeding, and for the Level Exclusive rules already mentioned. how to breed a pure dragon? How to Breed All Four Element Dragons in Dragon City New 2016!!! could someone tell me how to breed double sea please? How to breed 3 elementals? Who screws who and what is the outcome? HOW DO U ADD I NEED NEIGHBORS BADLY!!!!!!!!!!!!!!!!!!!!!!!!!!!!!!!!!!!!!!!!!!!! if you breed dark dragon and butterfly dragon what will it become ?? 60 times but only get 3 legends………………….. too hard browwwwww!!! Add me as a Facebook friend. I will return the favour. Please add me, need friends and will return the favor! Can anyone confirm if Kaiju and Nocturnal dragons are breedable because they’re showing in Build:Eggs Menu and if its affirmative, state also the Proper combo..Thanks…. need help friends add me……. i have Light Dragon..Light+? ?=New Dragon Help me.. I need more friends to progress. Please add me. So there hundreds of dragons, but I reached limit with 70 buildings (habitats) only, so what the point if you cant collect all dragons? Why is the limit on habitats? anyone have the combo for Crystal Dragon, Lava or Poo Dragon? Just wanted to say a BIG THANKS to Joseph Seeley for this web site and all your hard work in creating it & keeping it up to date. Any questions I have is found right here on this web site. It’s been a HUGE help for me & I’m sure other DC players as well. Great job! how to breed a legendary dragon? HI every time when I breed Dujur Dragon it comes out BURNING Dragon, but goes in the book as Dujur ! have tryed feeding Burning ,to see if Dujur gets filled in …but nothing happends ! Why i can’t breed Light and Dark dragons ?? ?This one is missing in my dragon book- from basic light collection secondary dragon! so what dragons do we need ??? how to breed firebird dragon? How do I breed Fallen Angel and Cool Fire Dragons? Some of you were commenting that legends should be easier to get. Honestly if they got easier to get I would leave the game. How do you think the level 99 people would feel when level twenties have the same dragons as them??? Anybody help me !!! Today when I play DC on my PC, I can’t use the arrow to move to all of my islands , it’s only appear the first island (full) and some parts of other two islands , even when I use full screen , I can’t see all of the islands. How to fix this ? Thanks a lot. Can’t the Explosive Dragon be made breedable?? he looks amazing.. but thos dragoonies will never be enough in my situation.. i’m the only one still playing dedicated.. does they also need to update or those chest wont appear on there dragoncity.. if i come to visit..? You may want to edit your dragon city breeding guide page to reflect that there is now a pure/light dragon-Zen, and a pure/war dragon-Kratus. How to get »Legendary Dragon«? My fight team elements armadillo cookie ninja Tesla the necromencer of black magic… the light dragon juggernaut Zen x two the Collosol and big it is, acoustic Space the big bad Kanji the Cancer of zodiac…. and all 25+nextblowestbs 20+and have all purest to snake waterfall the ruby pearl angry joker burning steam the queen hearts and team the elf and 88more all with at least 2 Trained features doing top damage and different type as for dark nature water fire light or Tierra and metal and that folks kills all fighters to 99 yes indeed…….. now of course no one wants you to train… but do and win….. Be a 33 and kill a 99/68/77etc.. win.’.. no money needed.. Thank you for taking the time to make such an informative site it really makes the game more enjoyable,and help you in manys. Zen and Kratus are breedable, and I have both! What does Ultra Breeding Tree differ in Breeding Mountain? what does expected time on the breeding calculator and how to breed pages mean? dgulli,you can breed a butterfly by use flame and nature with both level is 10 or above! With the low success rate of breeding Legendary dragons plus the high cost of purchasing them in the Store it is no wonder so many people leave the game when they reach that stage. The new dragons with parental level requirements with low success rates is another reason. Don’t know about the rest of you but I don’t want to breed 60+ times to try to finish my last 3 goals. If SP wants to sustain their revenues they should adjust the success rates or lower their purchase prices. what is the result if i breed dragons w/ same element?? Hey Joseph, you did not mention the breeding boost for five gens. How it works? Is it a valid option or a waste of gens? When breeding is it better to breed the basic elements or their pure conterparts? Say like trying to get a joker dragon.. which is best w dark and flame.. reason I ask is I have no basic elements (war and light only exception). Does the Ultra Breeding Tree increase your odds at all, or does it just allow you to breed 2 pairings at the same time? WHY ARENT THERE PURE LIGHT AND PURE DARK? Zen and Kratus will fill the pure holes!!!! !